Fall anime season is fast approaching, featuring even more mysteries than usual – but that’s what we’re here for! Let’s run down the most interesting upcoming titles, the major projects that congregate skilled anime creators, and the misleading productions that you might otherwise ignore or not be fully prepared for. liborek: Although Production I.G is quite the prestigious entity in the anime industry, not all of the studio’s divisions are equally capable. There’s quite the gap between the teams putting out exceptional productions left and right and attracting top talent that lives up to that fame, and those that are regularly given projects with a depressingly low ceiling, which no amount of staff passion can smash through. Now that sounds like the preamble to sad news, but the truth is far from that: Run with the Wind marks the return of I.G’s strongest TV production crew, led by animation producer Keiko Matsushita. And I couldn’t be any happier with the material they’ve been entrusted with this time, though truth to be told, it’s not much of a surprise; after volleyball (Haikyuu!!) and ballroom dancing (Welcome to the Ballroom) their specialization in depicting sports where the movement and postures of the athletes’ bodies are key is clear, so those skills are going to be put to good use with an award-winning series about running. Another interesting tradition of theirs that will be continuing is having a different director for each of their shows, with the still relatively young but experienced Kazuya Nomura (Robotics;Notes, Joker Game) helming the project. He won’t be the only major staff change this time around, however. The usual character designer Takahiro Kishida stepped down in favor of certain productions we’ll be talking about later and was replaced by Takahiro Chiba – a regular member of the team who was greatly influenced by Kishida’s designs in the first place, after spending nearly four years supervising them. His contribution to both Haikyuu!! and Welcome to the Ballroom as one of the chief animation directors was fantastic and I believe it’s safe to expect the quality of his work will improve even further when working with his own set of fancy designs. The trailers sure look promising! Beloved source material, very capable main staff, and yet another thrilling Yuki Hayashi soundtrack coming up – does it get more exciting? The answer is yes, especially if you’re a sakuga fan. Run with the Wind‘s lineup of main animators is quite the enticing prospect. Hideki Takahashi is a renowned character acting specialist who served in the same role on Robotics;Notes and A Lull in the Sea, then later worked on last two seasons of Haikyuu! as action (thus volleyball) animation director, notably solo key animating episode 4 of season 2. That experience in particular granted him the grasp of physicality in animation that makes this team so special. But most importantly, we’ve got Takashi Mukouda back. 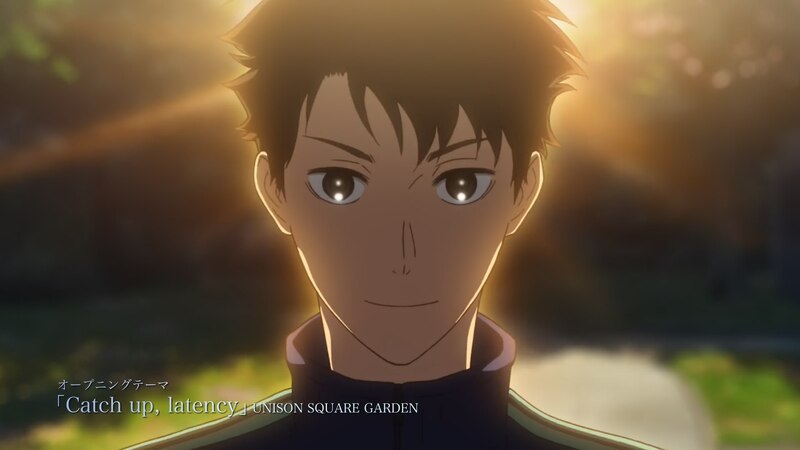 He’s primarily known for his frenetic fighting scenes, but his work supervising Welcome to the Ballroom‘s greatest dancing sequences served as a reminder that he’s capable of much more than just action… ironically so, since those were credited as action animation direction. He often expresses demands to have his key animation left uncorrected by other animation directors, so it’ll be interesting to see how his mentality interacts with Chiba’s thorough approach as supervisor. Not that the fate of the project’s animation is just in the hands of these two, as plenty of talented figures tend to show up on Matsushita’s projects. We can expect some of the individuals who fought against Welcome to the Ballroom’s restrictions like Kengo Takehana, Sachiko Fukuda and hopefully even Shingo Takenaka to show up again and shine even brighter. I’m keeping my fingers crossed! Kevin: Tsurune is an quiet tale about the interpersonal relationship of a group of boys in highschool, framed through the delicate martial art of Japanese archery. When doing location scouting and research for this title (which the studio’s crew got noticed for), debutant series director Takuya Yamamura got the impression that kyudo was a very sensorial experience, so that’s what you should be expecting: a laid-back yet sort of solemn show, where the quietude gets pierced by the surprisingly high-pitched sound of the bowstrings. 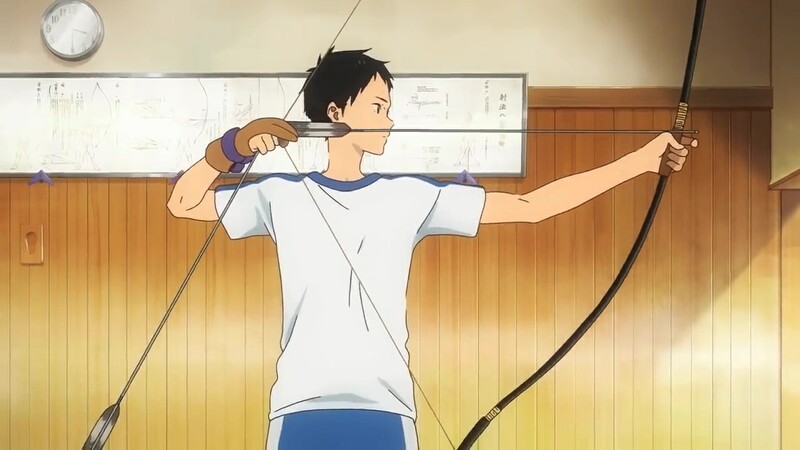 Relatively unsubstantial as they may be, the promotional videos serve as a good showcase of the attitude the team’s taken towards the project; while most anime PVs are high-energy efforts to immediately catch the attention of fans over the dozens upon dozens of seasonal offerings, Tsurune’s are content with presenting the series by simply showing a few seconds of quiet archery practice. Chances are that with this alone you can already determine whether this is up your alley or not. As mentioned earlier, this will be Yamamura’s first chance to handle a whole show, after a decade at the studio and about 5 years of various directorial duties. 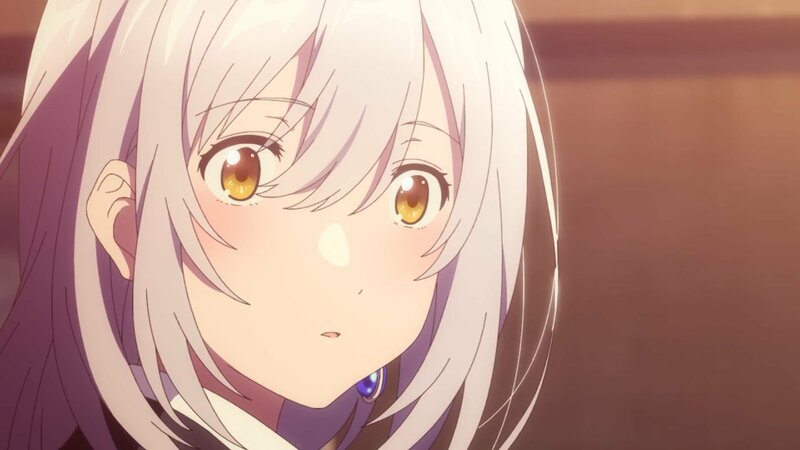 Leading a project for the first time requires tapping into new creative and managerial skillsets, but his notable work (as recent as his episode of Violet Evergarden everyone bawled their eyes out for) and absolute trust his peers have in him are encouraging to say the least. Kyoto Animation star Naoko Yamada in particular took Yamamura under her wing ever since he was a complete newbie, gradually coaching him until he was ready to tackle tasks as important as co-storyboarding Koe no Katachi. And in an interesting move likely influenced by Tsurune’s subject matter, Yamamura’s now found a new excellent mentor in Yasuhiro Takemoto, who’ll be supervising this show. His experience and fondness of anime featuring groups of boys growing closer should prove very useful in pointing Yamamura towards the right direction for his first major adventure. Tsurune has all the right ingredients to be a pleasant time. Before I wrap up, allow me to mention a few things regarding the situation behind the scenes. I’d advise people to keep their expectations in check regarding the production as a whole, since chances are that it won’t come close to KyoAni’s greatest – though it should be a bit of a step up from the third season of Free!, as the main staff at Kyoto were mostly allocated to this project. Yamamura will be leading a team with other key staff members making their major debut, like art director Shouko Ochiai, commanding the BG department by herself for the first time. The small contribution of new hires and promoted artist to Free! seem to indicate they’ll also be focusing on this project, meaning Tsurune will likely be a production of many first times. Though they’ll be getting support from the experienced crew (such as the Miku Kadowaki x Nobuaki Maruki duo leading the animation team), people rarely knock it out of the park on the first try. And since the production process isn’t as ahead as it tends to be at the studio either, it would be wise to expect something modest by their standards – likely strong, but perhaps not outright excellent. Though I’m still not quite sure about the format, chances are that we’ll be covering the series here to some extent, so look forward to finding out how the production turns out. Kevin: Where to even begin with this one. Chronologically we can look as far back as 1993 with the broadcast of the tokusatsu series Gridman the Hyper Agent, but to find the real start of this adventure we’re better off returning to 2014 with studio Khara’s Animator Expo project. The studio’s initiative allowed various anime creators to turn ideas of theirs that couldn’t get greenlit under normal circumstances into short films. And in the case of Akira Amemiya, that meant a chance to relive his childhood memories by reaching out to the company that owned Gridman‘s IP and convincing them to bring it back to life in anime form. That deal worked out so well that a few years later they’re back with a much larger project, joining the exclusive club of Yuri!!! on ICE and Dragon Dentist (TV) which first tested the waters through Animator Expo before their creators risked their full-length projects. Now don’t get me wrong: SSSS.GRIDMAN has essentially nothing to do with the straightforward take on the original series that GRIDMAN: boys invent great hero offered, but there’s no denying that the former would have never existed without that short film. So if SSSS.GRIDMAN is its own thing, what exactly will it be like? Boy, wouldn’t we all love to know that. In theory, we’ll be experiencing an entirely modern take on the giant hero franchise, revolving around themes like the relationship between the youth and technology. To strengthen that youthfulness, Amemiya ditched Yusuke Yoshigaki (designer and co-animator on the Animator Expo short) to give ex-Gainax, up-and-coming figure Masaru Sakamoto his first character design role. The team he’s leading is full of impressive newcomers that extend far beyond TRIGGER’s usual domains, which explains the fairly low-key excellence we’ve been seen in the daily life teasers of the series. At the same time, a vague nostalgia and wonderful sense of uneasiness permeate through all the trailers. This curious mix alone would already make SSSS.GRIDMAN an intriguing prospect. And to be honest, this isn’t even in the realm of speculation anymore. There is something up with this show that they haven’t publicly revealed yet. Based on private screenings, a game-changing event is supposed to come into play by the third episode. It’s not a coincidence that all promotional videos feature more or less the same early footage after all, despite the production being close to wrapping up (an unbelievably strong schedule by TRIGGER standards!) and thus lots tons of material being available. Staff comments, like Amemiya’s mention that the show’s action animation is a love letter to living mecha legend Masami Obari, also don’t seem to fit what we’ve seen in those at all. Mechanical 2D animation aces like Kenta Yokoya, heroic animation chief himself Hiroki Mutaguchi, and other sorts of action specialists have confirmed their presence, and yet all fights that have been teased are fully 3DCG. Something very substantial is being hidden here, but even knowing that, I’ll gladly take the bait. If the surprise is at all positive and the show still manages to retain that enchanting atmosphere it seems to have, you can count on us to cover the show. No matter how that turns out, this is one of 2018’s most curious offerings. liborek: If you’ve been following us for a long time, you might remember that studio Lay-Duce teased an original anime project due Spring 2018. In the end that got silently delayed for a couple of seasons, but its time has finally come. Though it’s not quite what I had hoped for as the big project from a company founded by a former BONES animation producer, this cute spy-themed series has the potential to be quite entertaining. The presence of Takahiro as its writer is dangerous to say the least, but it seems like this time we’ll be spared from life-draining grimness in favor of lighthearted adventures of a group of spies trying to protect world peace while attending highschool. This very anime premise will be handled by a fairly interesting crew, especially when it comes to its animation. For starters we’ve got veteran Satoshi Ishino (Classroom Crisis, A.I.C.O. Incarnation), who was asked to adapt Namori‘s original character designs for animation; based on the promotional materials, the show’s lively visual style actually takes major cues from the Yuruyuri adaptation and Dogakobo works in general (Masayuki Nonaka making a bit of an appearance perhaps? ), which is a smart move in my book. That liveliness in motion will also rest on the shoulders of young star animator Shouhei Nishijima – I’ll spare you his introduction since I’ve already got his Anime’s Future post in the works, but at the very least I can tell you to look forward to his gorgeous hair animation throughout this show. The other two main animators Hiromi Niwa and Michiko Asada are more of an unknown factor, so I’m curious what kind of work will they put out to avoid getting overshadowed by their coworker… and by a few interesting guest animators that we’ve heard will be making an appearance on the show. The exceptional layout work in the promotional video was no happy accident after all! And speaking of unknown factors, Wolf’s Rain and Darker than Black director Tensai Okamura is credited for something as vague as artworks, which perhaps indicates he had a hand in the design work of its world and setting. While on the surface this looks like a straightforward, cute action series – which it might very well be – RELEASE THE SPYCE is still shrouded in many mysteries. Well worth checking out! Kevin: A single salaryman dies and is reincarnated as an obscenely powerful being in a fantasy world. If you follow current trends in niche Japanese media you must be tired of hearing that, but as the title subtly hinted, this one distinguishes itself by having the protagonist reborn into a literal blob. Truth to be told, I’m naturally predisposed to dislike these quirky takes on light novel tropes; if anything I have more sympathy for authors that shamelessly embrace tired concepts and make something enjoyable out of them, since I tend to appreciate honesty more than winking at the audience to signal that you know you’re doing the thing everyone else does. 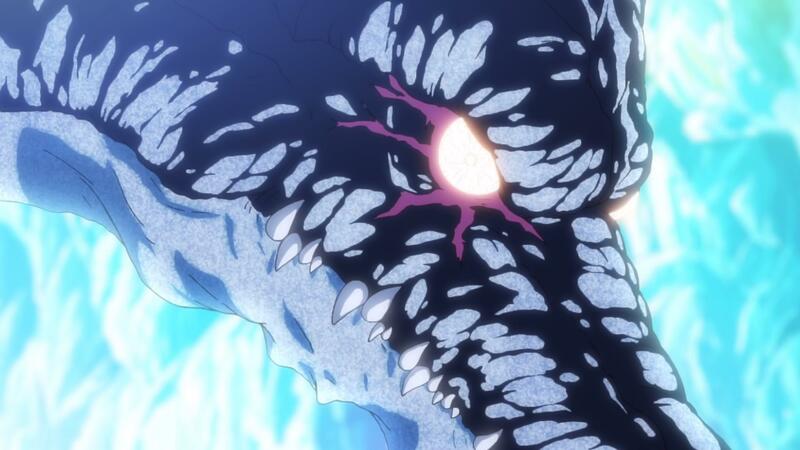 That said, I don’t regret giving That Time I Got Reincarnated as a Slime a spin despite being outside my wheelhouse, since its commitment to the ridiculous idea of the arrival of a super powerful slime destabilizing an entire fantasy world has its charm. That said, the reason I gave it an opportunity in the first place was the news that this adaptation landed in capable hands. Series director Yasuhito Kikuchi isn’t the most exciting project leader at 8-bit and his area of expertise heavily leans towards sci-fi to boot, but he’s been acknowledged as a very reliable manager that boosts the skills of those who surround him. And this time, that includes people like the aforementioned Takahiro Kishida providing some fantastic, sharp monster designs, but especially the main designer Ryouma Ebata. 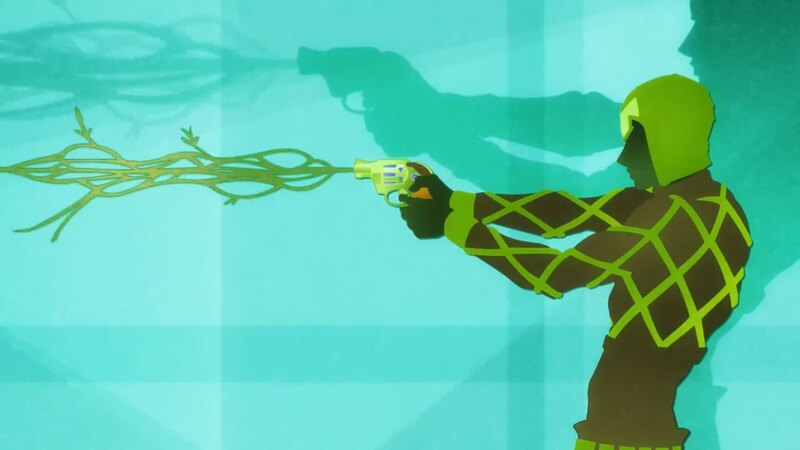 His rise to fame over the last few years was caused not just by the unmistakable enchanting rhythm of his animation, but also his ability to produce spectacular work essentially by himself; be it opening/ending sequences or entire episodes, Ebata’s shown that he’s not afraid to tackle massive workloads all by himself. Though it wouldn’t be surprising to see yet another of his iconic sequences, this time around he might be taking more of a team player supervision role; attendees to the prescreen of the first episode (which incidentally was solo key animated by Masaru Yonezawa) mentioned that Ebata’s visual charisma could be felt, more subtly but constantly, so chances are that he’s doing some chief supervision. Great news for those who appreciate his style, and more flair for an already quirky work. Kevin: Jojo‘s return is a reason to rejoice, despite the obvious caveats this time around. Don’t take this as an indictment of the source material: I don’t believe Part 5 deserves to be as maligned as it is among certain sectors of the fandom, messy as it may be. Instead, it’s the production circumstances that don’t invite quite as much optimism this time around. The modern anime adaptations of this franchise have always been a bit of a directorial hotpot, with more supervisors than any other anime being entrusted with particular aspects of its production. Things were always rearranged in-between seasons to some degree, and it was precisely the decision to promote Toshiyuki Kato to series director that made Diamond is Unbreakable into such a memorable experience; his vision synergized perfectly with other inventive staff members like Yasufumi Soejima, granting the show as a whole a unique layered aesthetic and befitting quirks. Unfortunately, studio David Pro is busier than ever, so the staff changes that give each season different flavor have been massive this time. A chunk of the directorial team has left the project altogether, most notably with Kato going to direct the new Captain Tsubasa anime instead. Rather than scavenging for candidates in-house, this has been an opportunity to infuse the team with new blood: veteran Naokatsu Tsuda will be joined by Keijo‘s Hideya Takahashi and Yasuhiro Kimura, best known for his cute output at studio Dogakobo. I’m particularly fond of the latter, though it remains to be seen how he’ll fare with a different register than he’s used to. At the very least we know that he’s attempting to adapt to the franchise rather than attempting to reinventing it, hence why the promotional videos look fairly similar on a surface level to previous Jojo iterations. Not that there aren’t obvious changes already: the approach that renowned designer Takahiro Kishida took, with its ridiculously intricate shading, is the polar opposite to the beautiful stylized work Terumi Nishii tried to maintain in the previous series. I can’t say I’m a fan of it aesthetically (especially on Part 5 where fashion is at its peak), and it seems at odds with the production as a whole; Vento Aureo will be repeating what perhaps was Diamond is Unbreakable‘s one major mistake by having 39 consecutive episodes, made even more taxing by these complex designs and the decision to increase the role animation plays in this show, which became obvious in the first episode they prescreened. In this regard, the situation isn’t ideal. To put things simply: if you love Jojo’s Bizarre Adventure and have never felt much of a difference between the execution of each season, this won’t change your mind either and you’ve got little reason to worry. If you found Diamond is Unbreakable‘s adaptation to be a noticeable step up, however, prepare to go through the same experience except the other way around. If this is the catch to getting more Jojo though, I have no problem accepting it. Kevin: Let’s wrap up with another franchise that needs no introduction, for better or for worse. I have no intention to convince the naysayers about Sword Art Online‘s merits, mostly because I’d have to convince myself first, but Alicization is an intriguing major project nonetheless. The circumstances have forced SAO‘s production to change a whole lot; unwilling to commit to 4 cours (an exceptional event for a latenight title), director Tomohiko Ito is finally leaving behind the series that has kept him busy over the last few years. Designer Shingo Adachi is doing the same, delegating most work to Gou Suzuki and Tomoya Nishiguchi while he’s on his way out. The aesthetic changes that this entails are accentuated by the presence of photography director Kentaro Waki, who will retain that flashy, particle-heavy cinematic style from the movie. Although the new series director Manabu Ono characterizes himself by his ability to adapt himself to different environments, SAO‘s return to TV will feel very different than its predecessors. Now whether that will be a positive change or not is still up in the air, as is whether it’ll survive such an ambitious production. Although the animation process has been going on for a few months at this point, the lead time the staff has doesn’t seem to be nearly enough to sustain an entire year of broadcast at the level they’re aiming at, unless something more fundamental about the way A-1 Pictures operates also changes. What we know for a fact, however, is that once again they’ve got a couple of exceptional action animation directors. SAO has always given an immense amount of responsibility to that role, accentuating the direction part of the term; from providing storyboards to defining the approach to the fights altogether, being one of its action supervisors entails more than drawing some cool cuts. Acting animation master Tetsuya Takeuchi will be making a return, accompanied this time by Yoshihiro Kanno, a recurring ace in Madhouse productions despite not even being part of the studio itself. Exceptional artists without a doubt, but it seems rather unlikely that they’ll be handling the entire show, especially since Kanno is also meant to act as a main animator in this season’s Karakuri Circus – a sign perhaps that A-1 intends to sustain a full year of production by cycling through different teams? We’ll see! Although we’ve gone through fall season’s major offerings, there are some noteworthy titles that for some reason or the other we decided not to focus on. Despite marking the directorial debut of ex-Ghibli member Masako Sato and being supported by skillful character animators like Masashi Karino, Anima Yell! will face obvious limitations as the adaptation of a middle of the road 4koma; bound to be cute and a pleasant watch for fans of the genre, but unlikely to change minds about it. If rather than trustworthy standard material you prefer something more unusual, the aforementioned Karakuri Circus has a plesant anachronic feel to it; a 3 cours adaptation that will serve as an abridged but still long adaptation of the 90s series, brought to you by a team that acclimated itself to the idiosyncrasies of the author and its period with the Ushio & Tora adaptation. I’m not quite as sold on its central relationship as much as I was with its predecessor’s, but much of its charm carries over. And while I can’t bring myself to honestly recommend DAKAICHI and sort of dread the dishonest dunks on BL fiction that the assault scene that starts the relationship will most likely spark, Naoyuki Tatsuwa is one of the more interesting directors that have departed studio SHAFT over the last few years, so keep an eye on it if you’re not bothered by that. The same thing goes to Goblin Slayer: if nasty grimdark fantasy is your thing, you’ll be happy to know that director Takaharu Ozaki is an exceptional storyboarder with experience dealing with intangible gloom – as fans of Girls’ Last Tour can attest. I’m not here to be anyone’s moral police, so you do you. 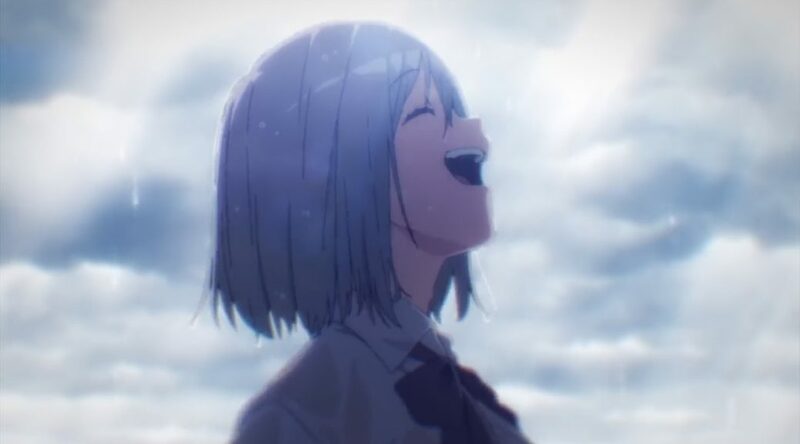 As far as other stuff goes, I believe that Irozuku Sekai no Ashita kara has earned itself a mention. The premise may not sound the most compelling, but it’ll be interesting to see how much Maquia‘s production influenced director Toshiya Shinohara, and I’m quite looking forward to the future of P.A. Works’ animation endeavors that are embodied by people like Irozuku‘s character designer Yuki Akiyama. Meanwhile, Bloom into You is in a bit of an opposite situation: I’m fond of the source material they’ll be adapting, but feel varying degrees of dread towards the team behind the anime; while studio TROYCA is succeeding in creating a studio aesthetic, the aggressive composite their works feature under the direction of Makoto Kato grows more offputting by the day, and I can’t say I trust his decisions as project leader in general. Likely not a big problem if you’re a fan, but beware nonetheless. 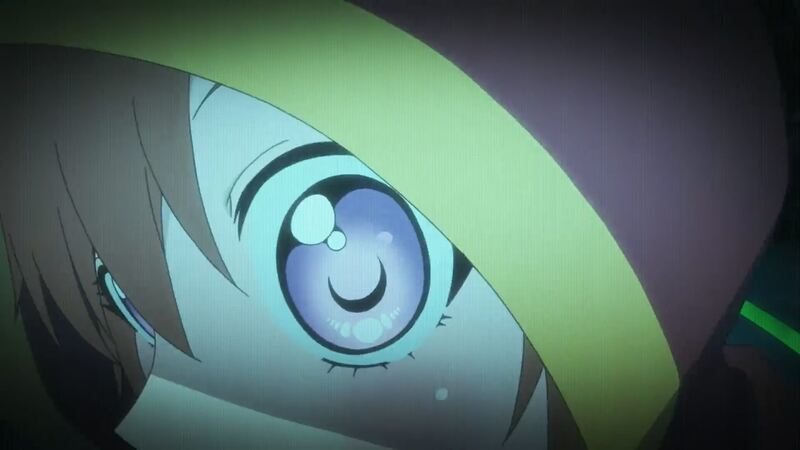 Projects like the irreverent Zombieland Saga (directed by ex-Toei ace Munehisa Sakai) and the questionable title Rascal Does Not Dream of Bunny Girl Senpai (likely to attract some of the talent currently hanging out at CloverWorks), the final title I want to give a mention to is Zokuowarimonogatari, which should be getting TV screenings at some point after its theatrical debut. At this point more additions to the franchise may sound pointless (and to some degree they are after its fantastic proper ending), but these additions have been more interesting by the knowledge that Monogatari‘s director has left studio SHAFT. Much like what happened when Tatsuya Oishii left the main series, we’re about to see a newcomer stepping into the plate and transform the series according to their vision. It took a while for Tomoyuki Itamura to establish his own voice, but considering the results by the end, the wait was worth it. We’ll see what happens now! Heroic animation chief??? If nothing else I’m going to see Gridman just for that. They could have gone with something standard like Mechanical Animation Director but no, they were brave and made that up. How am I supposed not to be excited about it. Speaking of Gridman, I’m a little surprised Trigger isn’t relying on Sanzigen for the show. Is there a reason why they’re going with Graphinica for the composite and CG workload instead? Sanzigen is working on BanDori season 2 in winter and then season 3 next fall, aren’t they? Oh yes and they’ve also been handling its short series, stuff like that Cinderella Girls MV with yatanekko designs, plus they’ve become much more active as an outsourcing company for 2D animation recently. Busy as hell overall, but I meant regarding their relationship with Trigger – I’m simply not very surprised that they’d focus on one of their projects rather than handling CG and composite of everything they’re doing atm. Is Kyoani doing something for winter or why is the production lagging behind? I’ve been told that the deadlines for people working on the show got extended, so it seems like a sign of the opposite: nothing else immediately coming up, so they can just allow everyone to finish it at their pace. Obviously it’s not a good thing to have a shorter lead time (which is still a larger buffer than TV shows tend to have) but at least it seems like it won’t impact the time allocated to each episode. What do you think about Akanesasu Shoujo? To me, while it doesn’t look mind blowing, I feel there’s something interesting about that one….. I think it’s one of the more intriguing projects! I grew to dislike Uchikoshi’s games, but if he wrote this show then you know for a fact something’s up, some very fundamental twist that goes beyond the already weird promotional materials. It’s also leading the current Animax anniversary campaign that they’re using to push their new streaming app, it’s a 2D show made by a CG studio & an outsourcing one, it’s supervised by a non-anime person, there’s a bunch of factors that makes it curious. Have you heard anything from the new season of Index? Nothing in particular from within the team, but I wouldn’t expect much of a change to begin with… except less blue tint everywhere, since even the studio’s lead producer admitted that was kind of a terrible idea. I was a little bit surprised that Tsurune were the less hyped KyoAni series for years. But with the few PVs it got and the release of Liz movie, it is not so shocking. Izozuku is the projet where I am the most hyped. But as long it’s produced by P.A Works, it will be 50/50 hit or miss. As their works alternate between the good, the best, the bad and the forgettable. Itamura is currently freelance, so we’ll have to see whether he’s entirely free or tends to hang out around a particular set of studios. I’m actually afraid it might be Yase taking over since technically he’s already been a Monogatari series director, even if for one arc alone. And at that point I defended him to the death… but ever since then I’ve lost pretty much all hope in what he represents. 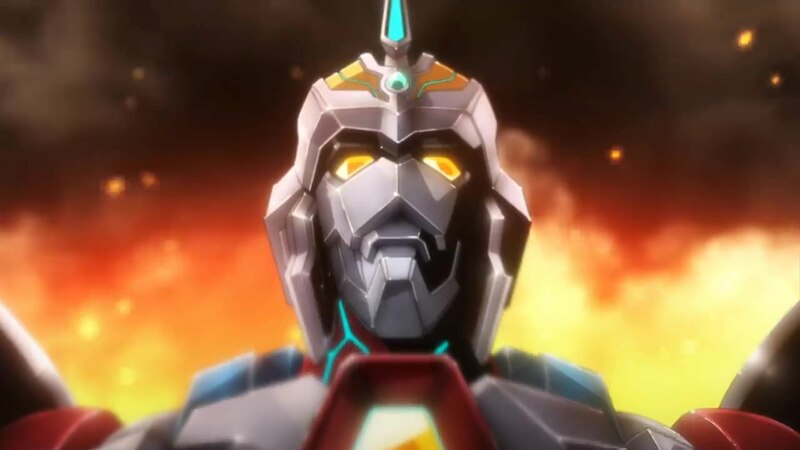 Just watched SSSS.Gridman’s first episode and it was amazing! What intrigued me the most, among other things, was the presence of nice frame pauses followed by abrupt frame change which aided the contextual absurdity and discomfort. It’d be great if you comment on how this was achieved! As described in this article, character designs were really cool, the MC’s case being an exception, whose design was rather canonical imo. Again, Gridman’s movements were done really well. Whoa, the first ep of UzaMaid had me absolutely floored, it’s exactly the beautiful bouncy kind of moe sakuga I love DogaKobo for! Now if only it hasn’t been spent on adapting some of the most repulsive material I’ve ever had to suffer through… Can we expect that the production will stay in good shape throughout the run? After all you guys have expressed worries about dgkb condition when one of their producers left for A-1, though maybe I just had interpreted these words in an exaggerated way. I passed on it despite knowing that at least the first episode would be exceptionally animated not just for the content, but because I don’t exactly trust it to maintain itself. That got confirmed when people involved started talking, and now it’s not secret at all – 3 different animators have mentioned how screwed the production is just today. They’re talented enough that I’m sure it’ll have its moments, but it’s actually Anima Yell that got wrapped up comfortably early. Is Index suffering from the fact that a lot of the general animators are on the DanMachi Movie? Since some scenes can look very good and others average. Plus, I don’t seem to see a lot of regulars back on this season for the project at the moment?